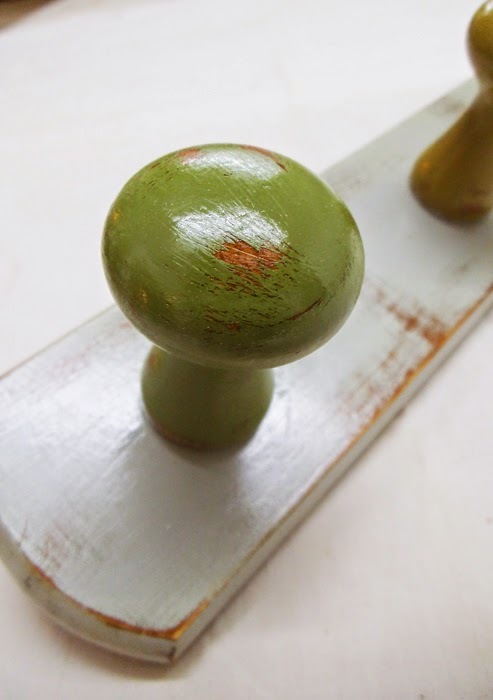 Two steel hooks mounted on reclaimed pinewood board. 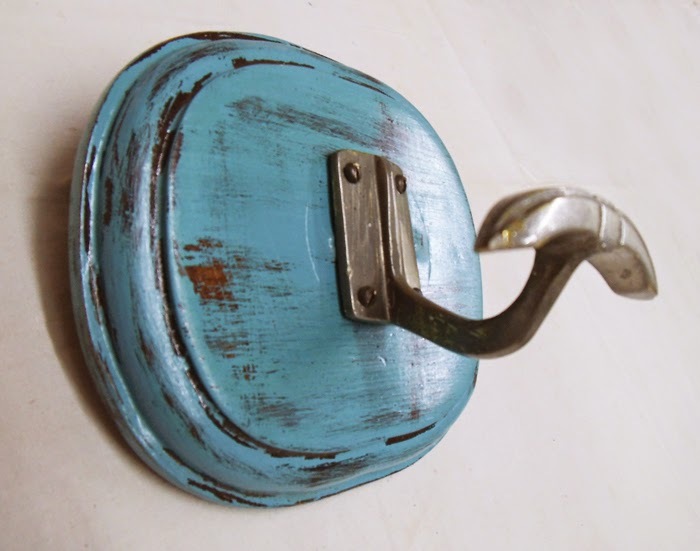 An old washer and the bakelite knob from a vintage 'Crespo' coffee maker decorate the centre. 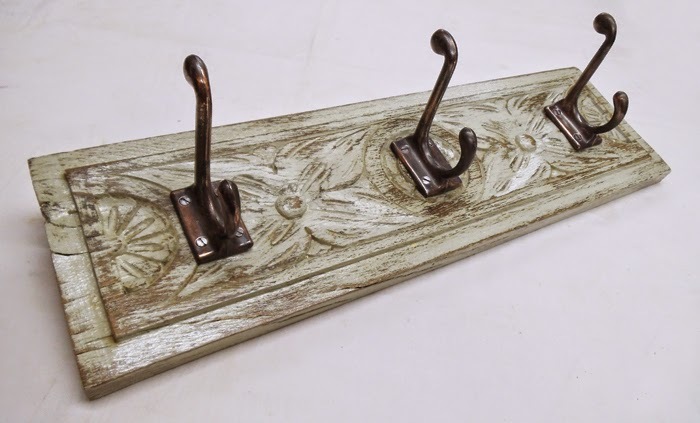 One double hook and two single ones mounted on a reclaimed piece of hardwood with the original distressed finish. 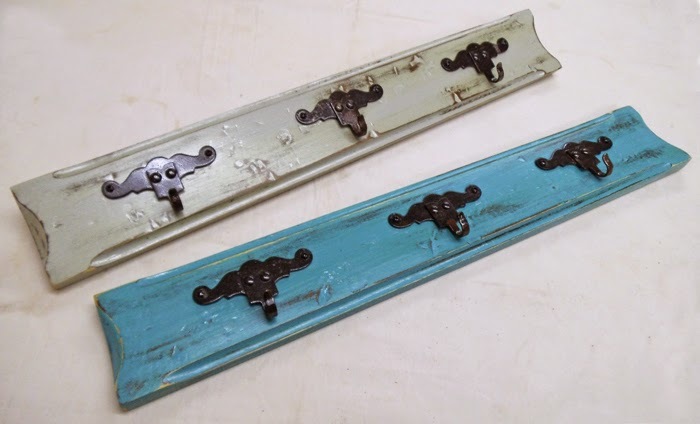 Two kitchen towel racks with three forged iron hooks from the '70s, mounted on vintage boards that have been painted and distressed. 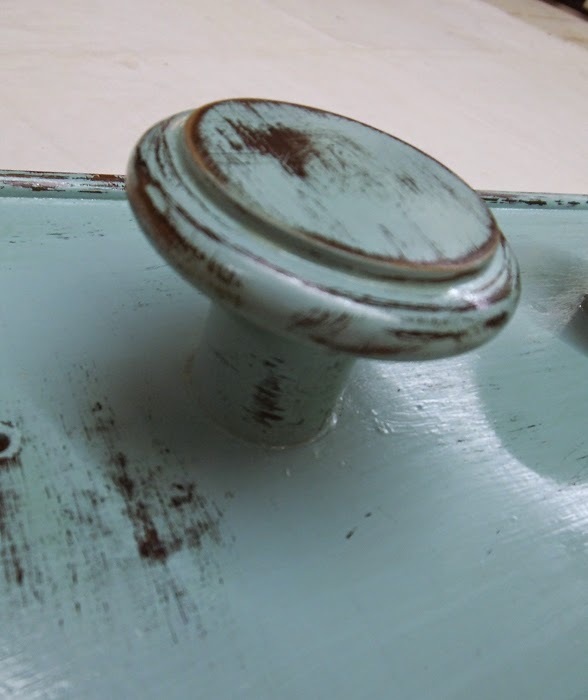 French gray and aqua blue. 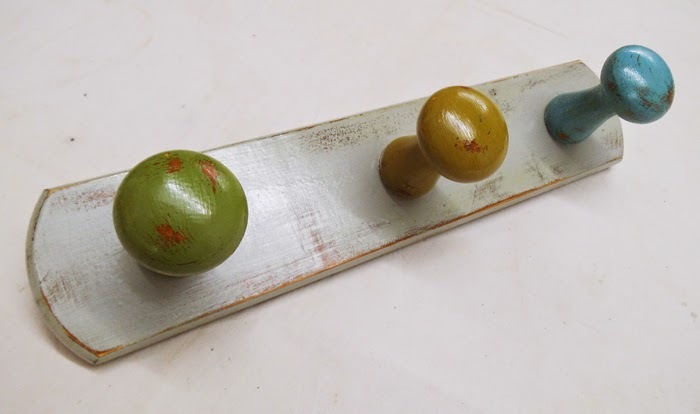 Measures: 50 x 8 cm. 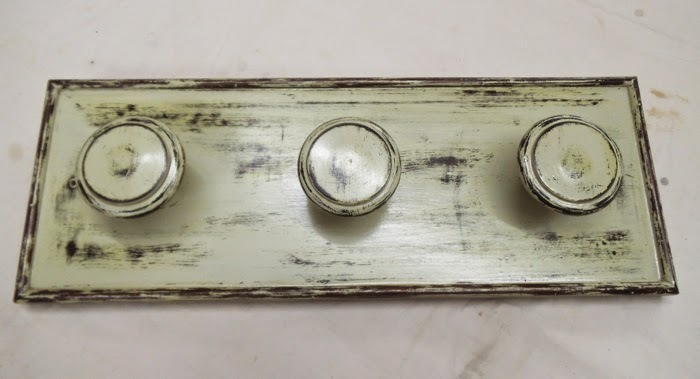 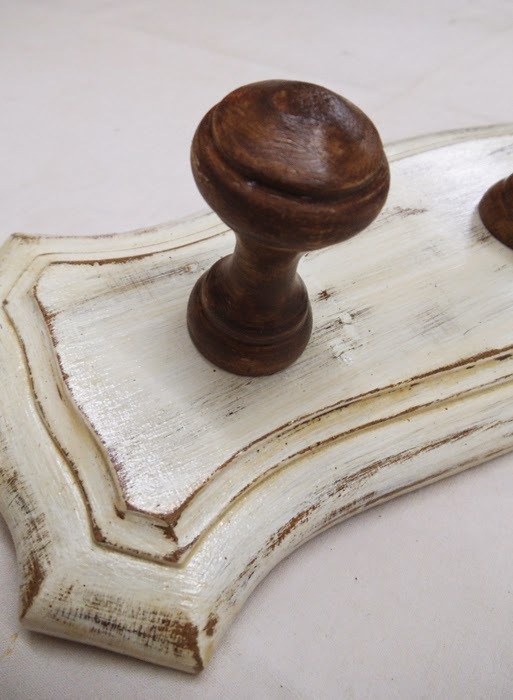 Three wooden knobs, stained, mounted on a vintage wooden board with a shabby-chic finish in off white. 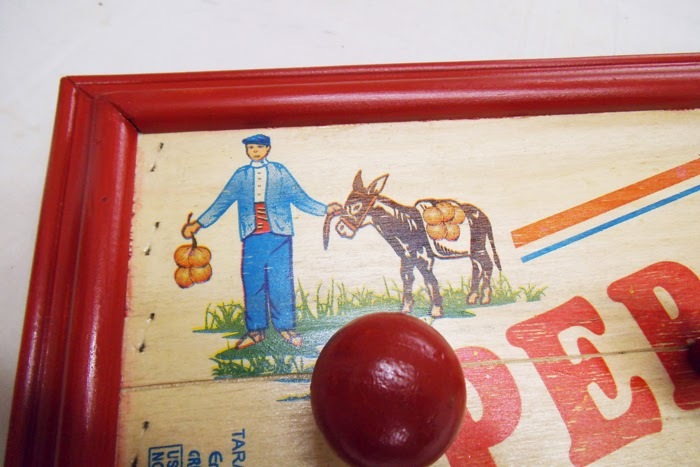 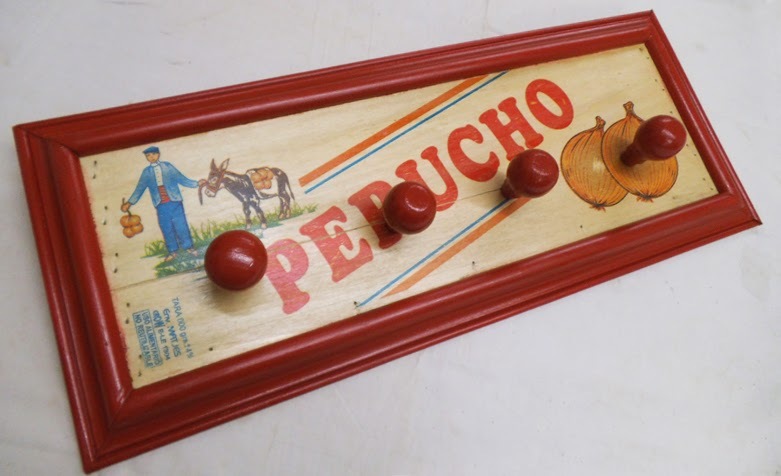 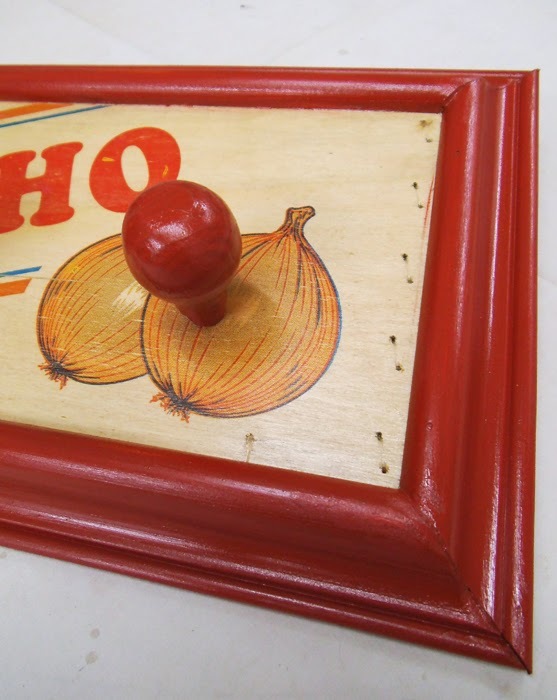 A board taken from a fruit crate, mounted on plywood and framed with pinewood moulding painted in deep red. 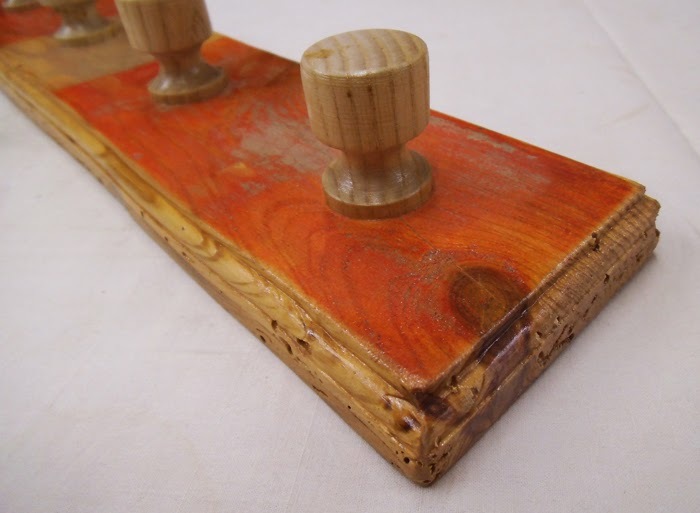 Four wooden hooks, in matching deep red. 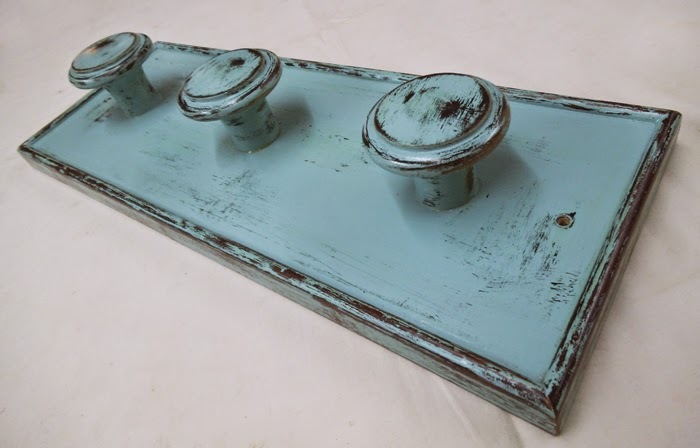 Kitchen towel rack with six metallic hooks in pale aqua colour, mounted on old pinewood floor board. 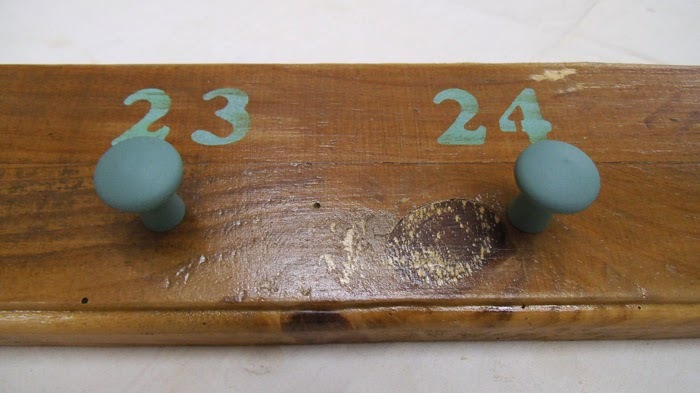 A series of stencilled numbers, also in pale aqua colour complete the industrial design. 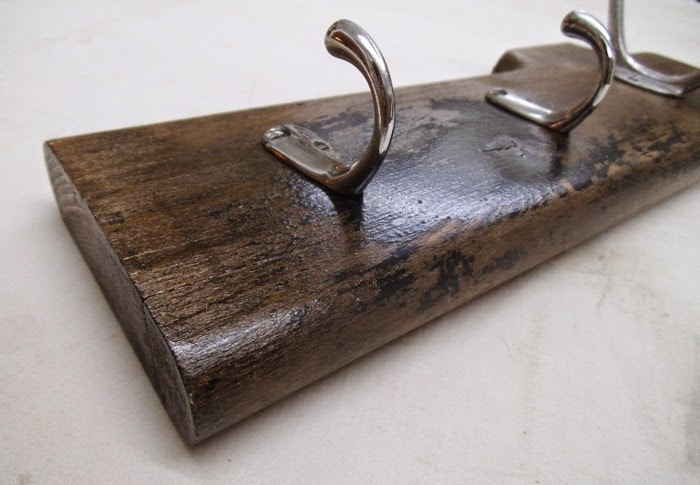 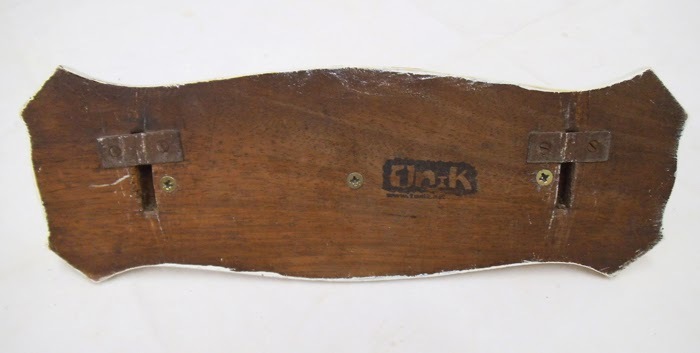 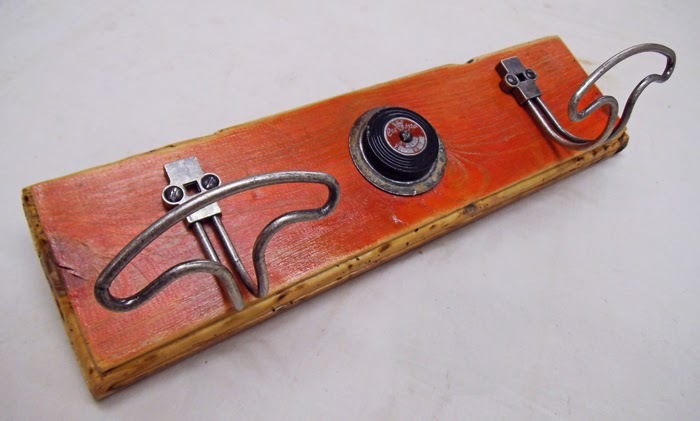 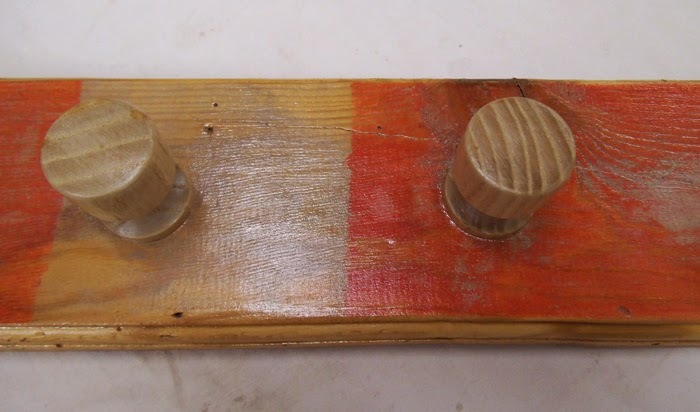 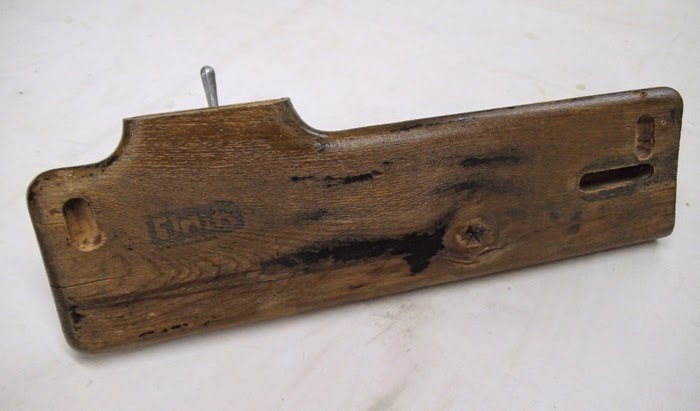 Three sturdy hooks mounted on framed hardwood board. 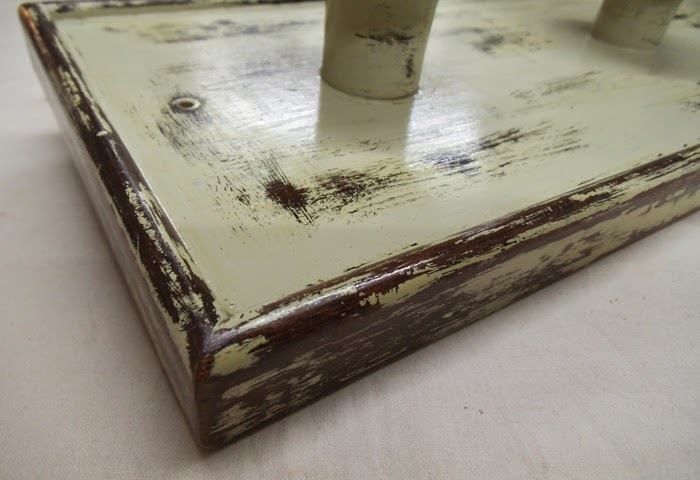 Painted in pale yellow and distressed. 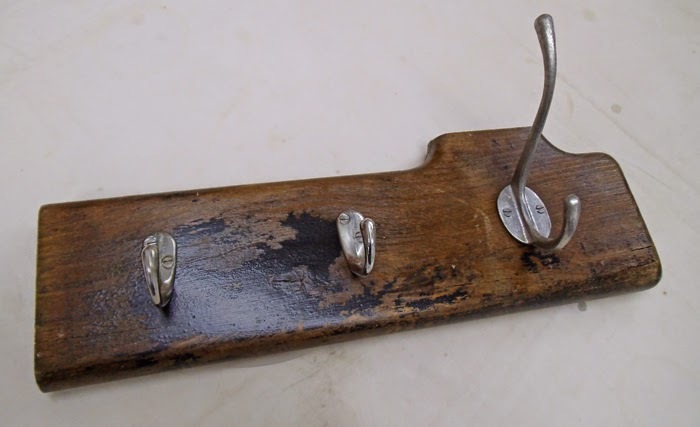 Three sturdy hooks mounted on framed hardwood board. 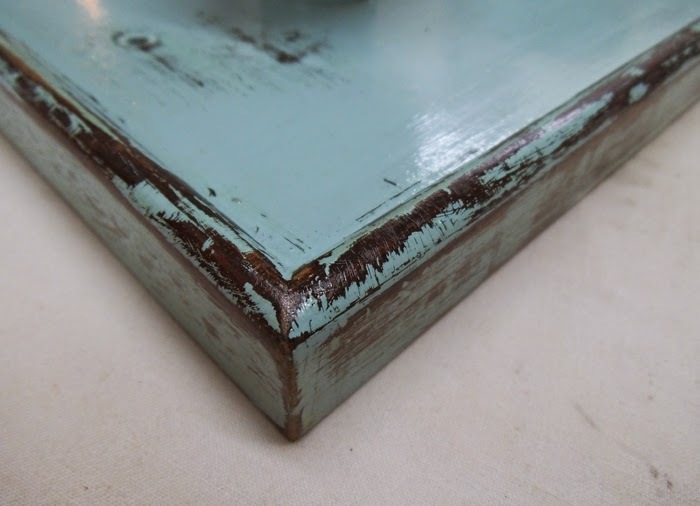 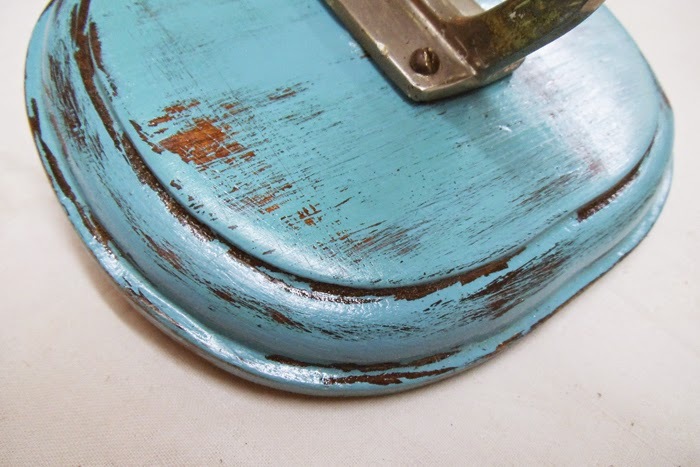 Painted in pale turquoise blue and distressed. 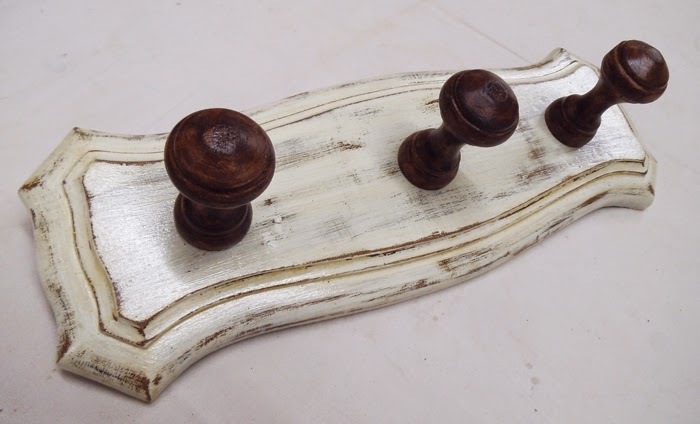 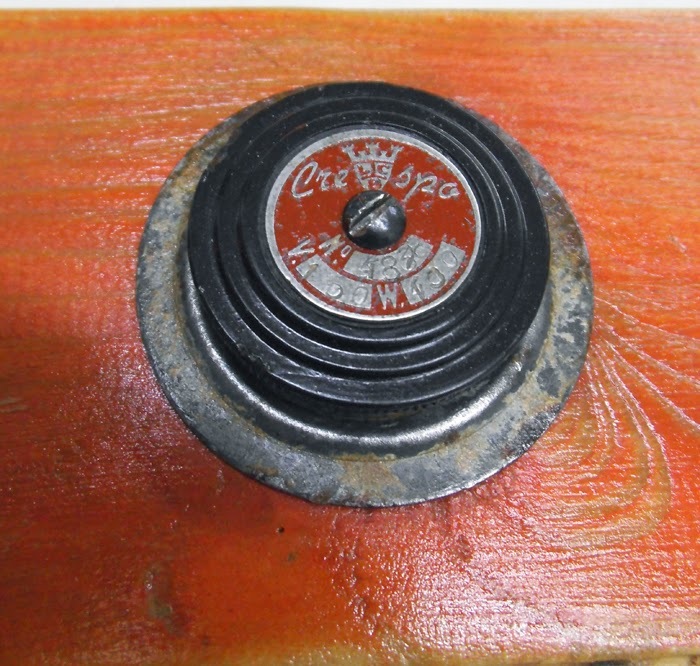 Four solid cedar knobs mounted on reclaimed pinewood floor board with the original red distressed finish. 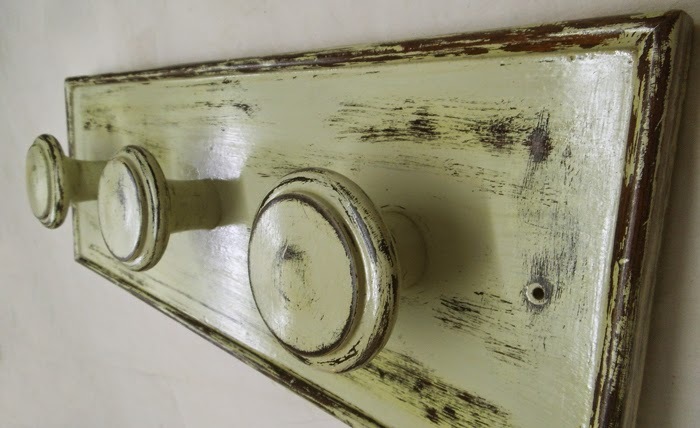 A solid pinewood coat rack, painted with a distressed finish in pale gray, olive green, mustard yellow and turquoise. 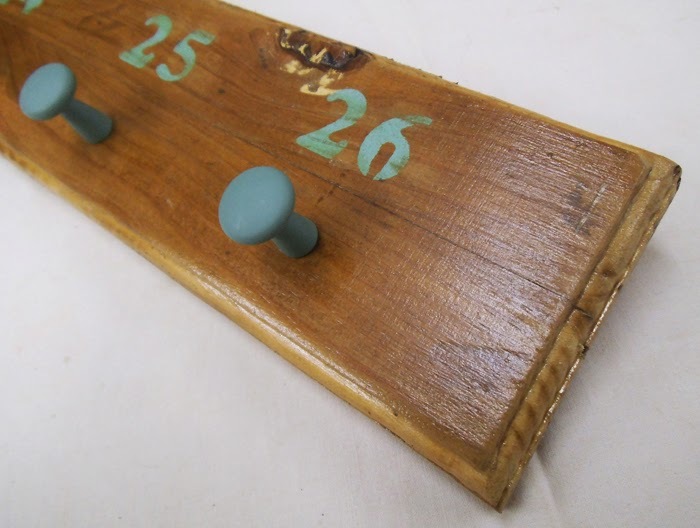 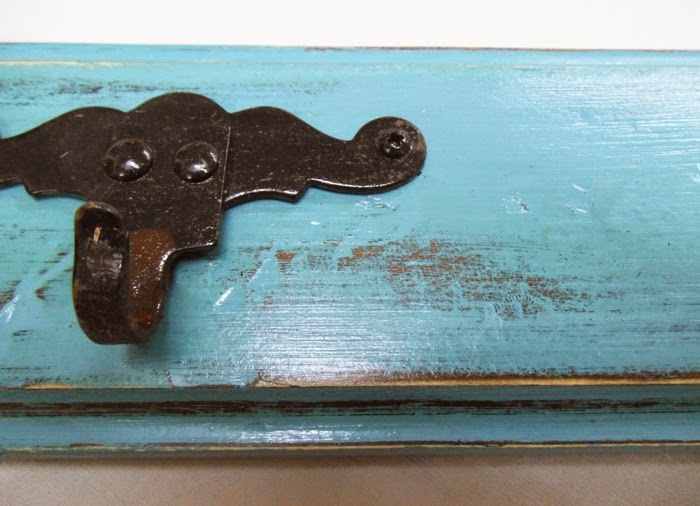 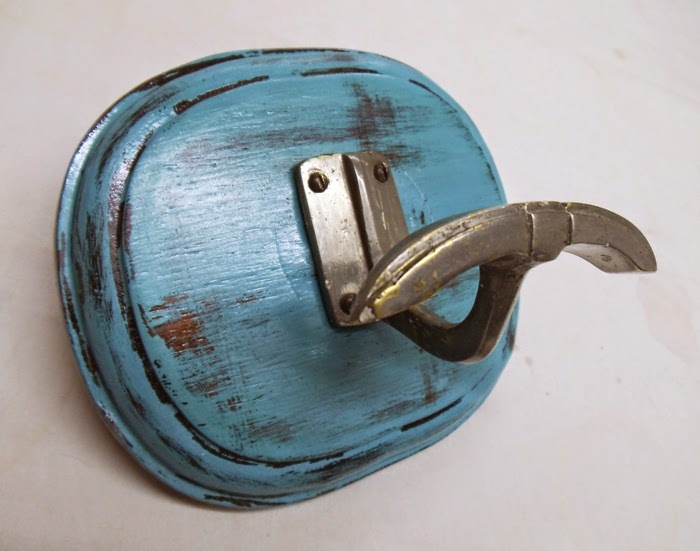 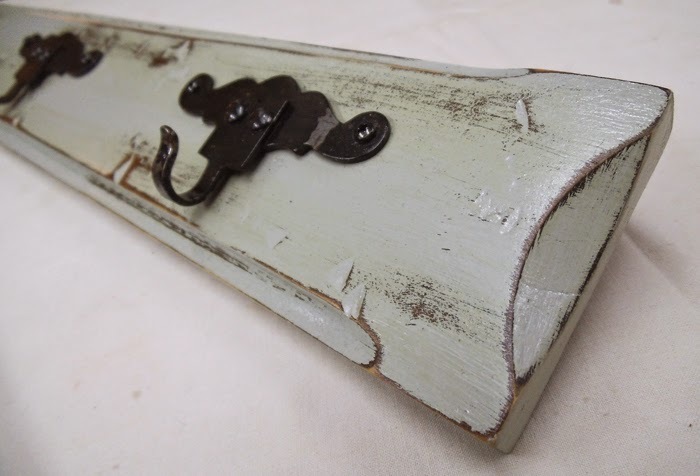 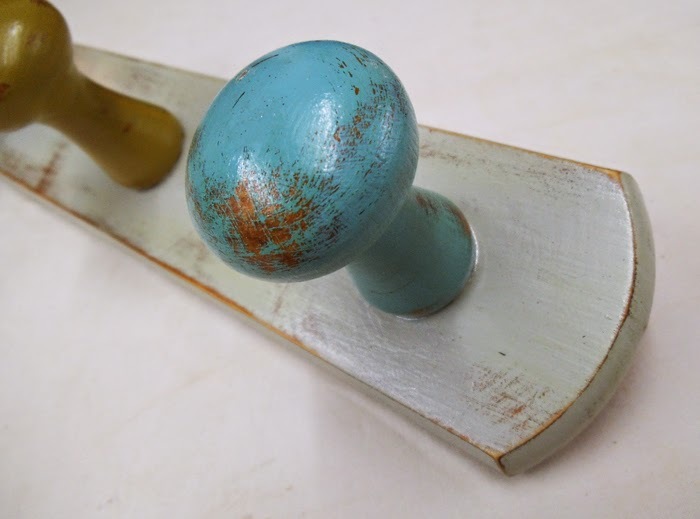 A solid brass hook from the beginning of the 20th Century mounted on a vintage wooden board that has been painted in aqua blue and distressed. 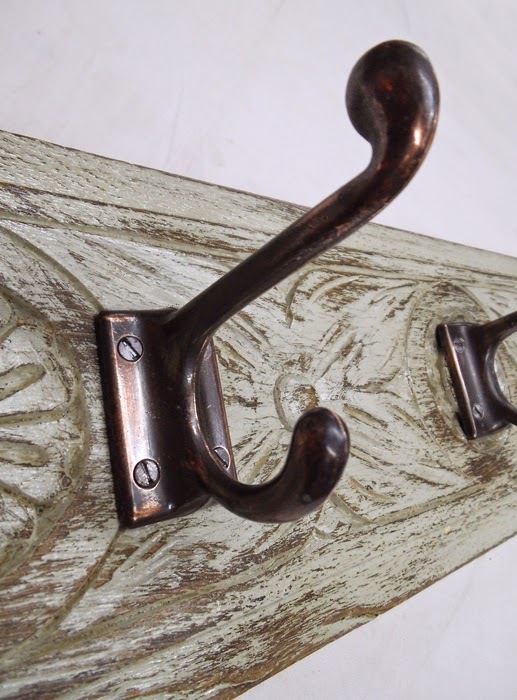 Three metallic double hooks from an old English pub that closed down, mounted on an engraved hardwood drawer front. 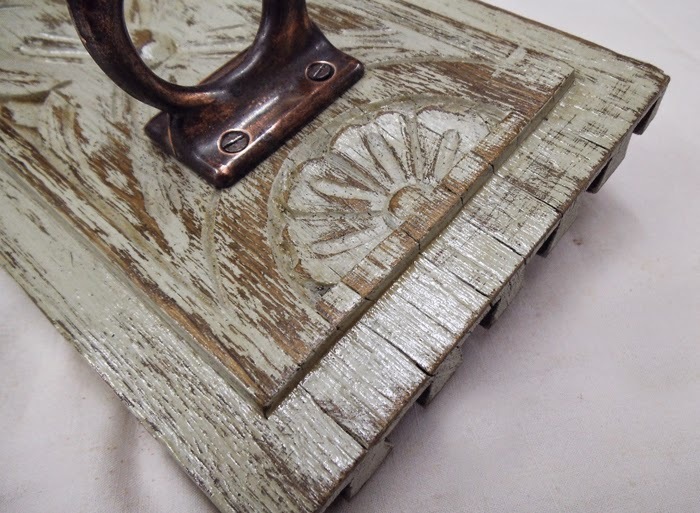 Light gray with a distressed effect.